Hungred Feature Post list is a WordPress plugin that is created to help WordPress users to feature their post easier. Although there are many featuring post plugin in the market right now. They all seems a bit outdated and troublesome to use. Therefore, i created a plugin for usage and hopefully people appreciate it. Basically, the image speaks for itself. But i will kindly explain some of the options above. feature type: it can be random, selected or both. drag this into your side bar and it will be activated. For v2, you will need to configure each widget so that you have multiple feature widget for different post. So, how do you feature your post? 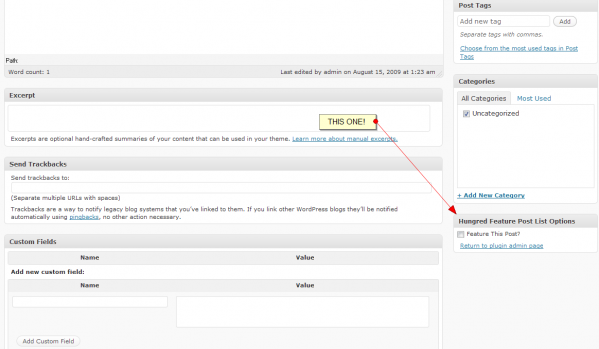 You can try to select some of the post to be featured on your page or let it randomly featured itself. By default, this is both made available. (both option on 'feature type' in the admin panel) You can select to feature a post by going into any post to edit and you will see an additional container on the far right of the page. Basically, you just have to tick to make it as featured post. 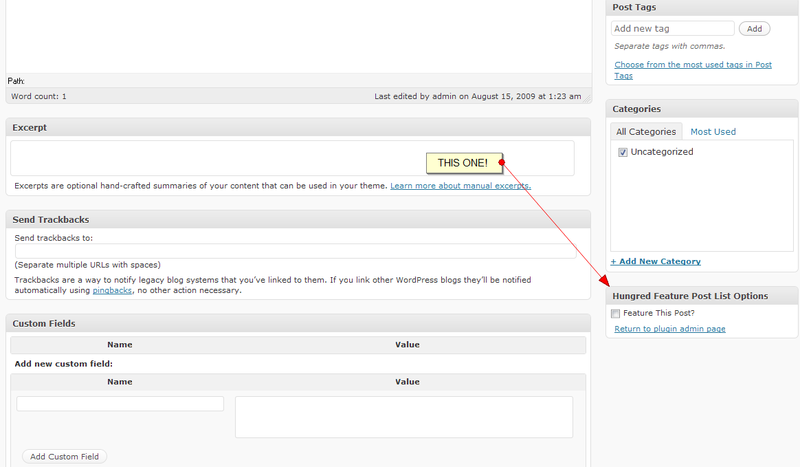 You can click the link to return to the admin page to check out all your feature post that you have selected. However, only post that are published can be featured! For v2.0, you will see an additional select box which required you to select the widget you wished to feature this post to. Something like this. Thanks to Michael Dalmer from http://massage.dk for the donation to this plugin development and release v2 (multiple featuring feature) to the public! The feature post on this site is using this plugin. Try it. It is far better than most of the feature post plugin.